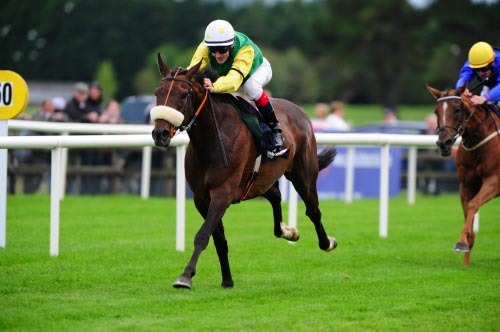 UPDATE: Roman Romance finishes a promising third first time out in Galway. The happy team in post race discussions! 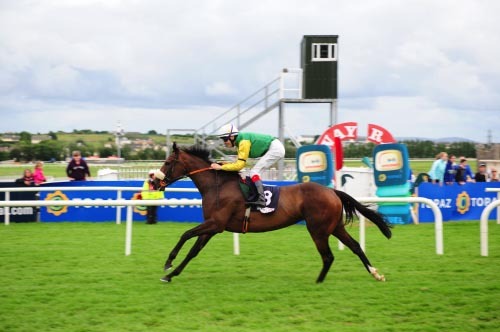 Every Summer over 60,000 racing fans gather at the famous Ballybrit Racecourse outside Galway town for the seven day Summer Racing Festival. For many this is the highlight of the season and it combines Flat Racing with Jumping, Fashion with top class sport and serious betting and fun of all kinds. Galway, a vibrant sea-side town on the Atlantic has over 69 pubs and 30 hotels who offer their services to the many visitors. Galway has something for everyone, sports, art, music, literature or just fun. 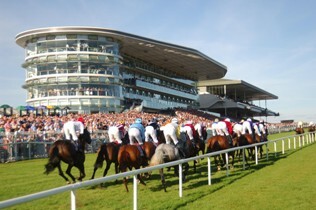 The summer racing festival is estimated to contribute over 60 million euro to the local economy in just one week at the end of July. This is obviously the most important event of the year so no stone is unturned to make it the best possible experience for everyone attending. 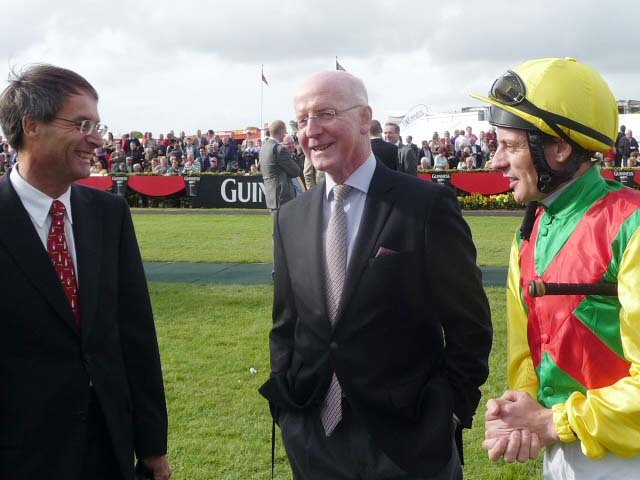 And while the Flat Racing elite firmly focuses on the renewal of the clash between Champion Dawn Approach on Toronado in the Sussex Stakes at Goodwood this afternoon, Irish Racing celebrates one of its annual highlights in the Galway Plate this evening. Busted Tycoon wins easily by 3.5 lenghts under a confident ride of Fran Berry. This is not Royal Ascot but instead the new Killanin Stand at Ballybrit! 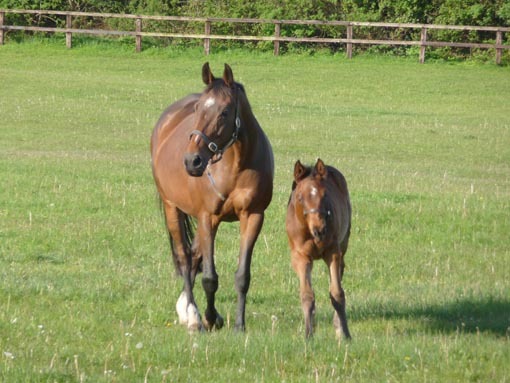 15 years after winning on Khatela at Navan, Fran has now ridden her daughter to win as well! Above Khatela with Marzipan (now Busted Tycoon). Always the pretty girl! 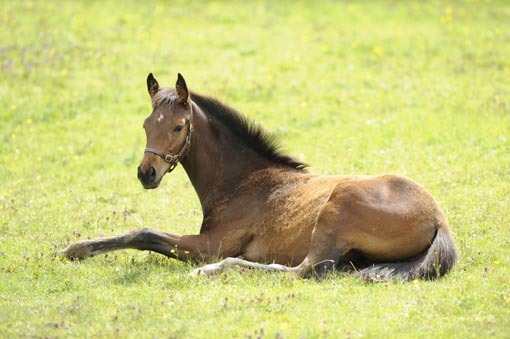 She was a very elegant, correct and scopy foal, a full sister to a black type horse in Massive, and this was reflected in her price. 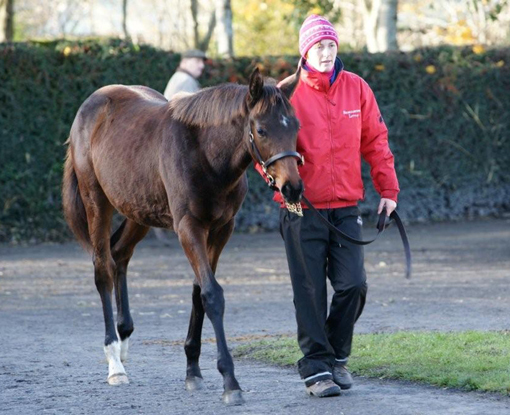 Marju - Khatela filly at Goffs November in 2009. 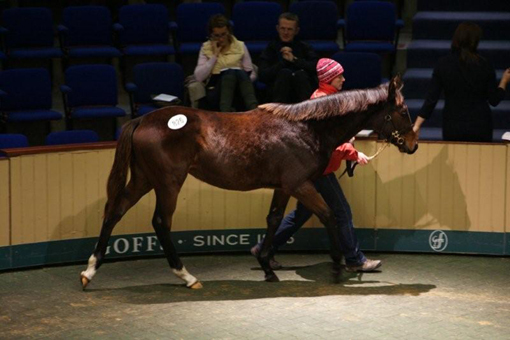 She made 52k and was sold to Rathmore Stud.